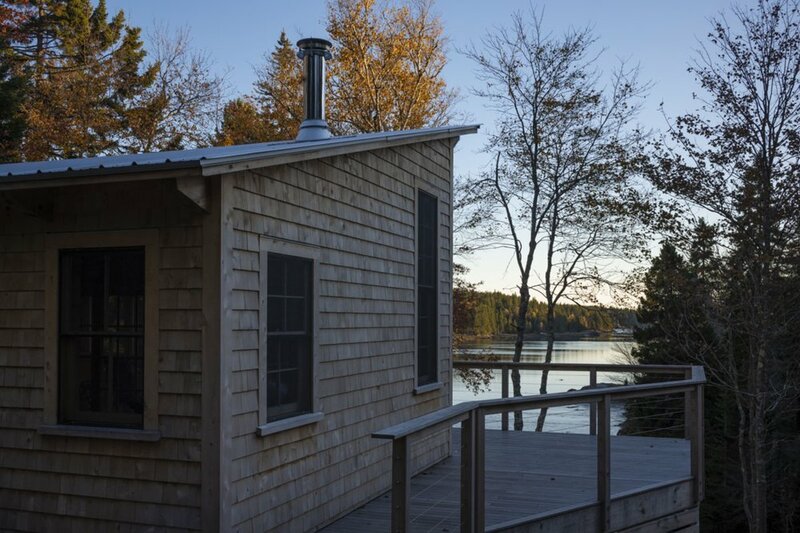 For a couple with adult children, the owners of this rare and wild cove property on an island in Maine envisioned a “camp” as suitable for large family gatherings as for solitary enjoyment. The sole existing structure, an 18th century cottage, underwent superficial renovations while three separate new wooden structures were designed for the site. Directed by a desire to minimize the impact of construction and habitation on so pristine a site, two smaller bunk houses are serviced by neither plumbing nor electricity, while a larger structure was designed with a kitchen, dining and living area. The bunk houses were configured to accommodate sleeping arrangements for multiple families or guests, while the larger structure, the “lodge” is a gathering place where guests come together for meals, relaxation, and entertainment. With a long view to the cove, a generous screened-in porch occupies the width of the main living space and is set off from it by sliding barn doors. Through the clerestory monitor atop the main volume, light bathes the space while permitting views to the sky. Upholstered window seats and a breakfast nook provide niches for relaxation and retreat. All new structures are uninsulated enabling the warmth of the unfinished wood studs and sheathing to create enclosure. Mono-pitch roofs, cedar shingles and carefully proportioned true divided-light windows create a unified vocabulary for all of the structures. 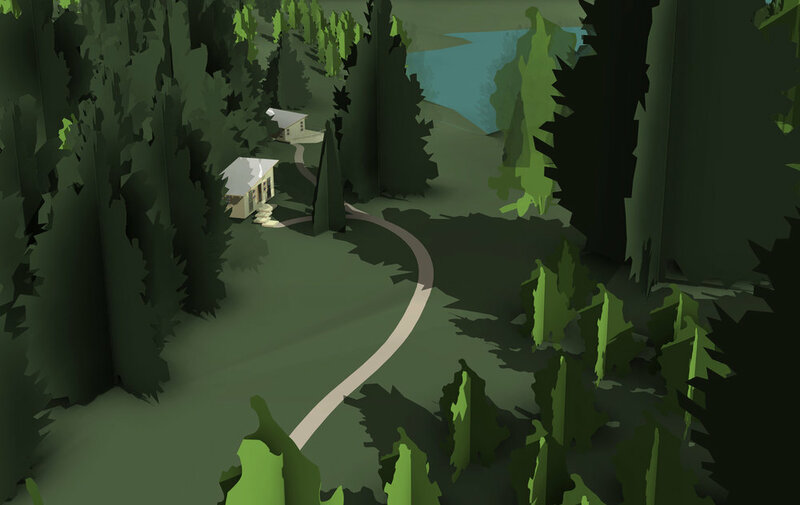 With diverse vegetation and dramatic topography, thoughtful analysis went into the siting of the structures. Consideration was given to views, access and footpath connections, privacy, and orientation to sun and prevailing winds.